When constant health monitoring is required, most patients indicate a preference for more comfortable at-home health care monitoring over more costly and less convenient hospital care. Home-monitoring device manufacturers are able to meet this need by enabling patients to provide accurate and timely data to health care professionals. 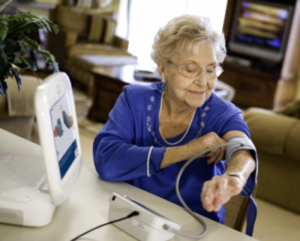 The first step involves providing home health care patients with simple instructions that they can follow to operate a range of monitoring devices, weight scales, glucose meters and pulse oxymeters. Then, wireless modules embedded in these devices transmit to the data to caregivers and medical records. The data collected at home can then be used to make informed decisions concerning patient care. For information regarding home-monitoring devices, ask your pharmacist.